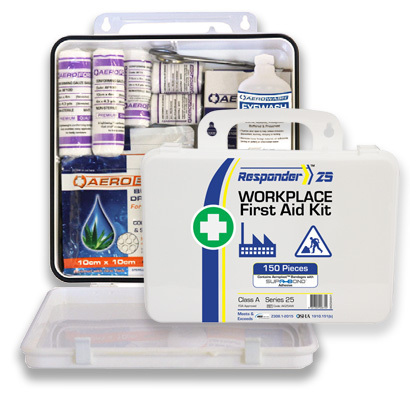 All of Aero Healthcare’s First Aid Kits come with a private case labeling option to allow you to brand all our First Aid Kit bags, cases and cabinets to meet your business or your clients requirements. Private Labeled First Aid Kits have a 24 hour turnaround from our acceptance of your branding proof. 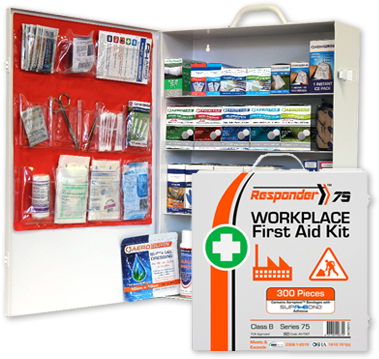 Our tough metal First Aid Kit cases and cabinets are constructed with heavy-duty full-length metal hinges and quality clasps to keep them securely fastened shut, avoiding accidental opening of the First Aid Kit when bumped or carried. All tough metal first aid kits come with both tough carry handles and wall mounting options. The large metal cabinets are perfect for wall mounting, while the smaller metal cases are a great option for stowing in vehicles and locations where durability is a necessity. 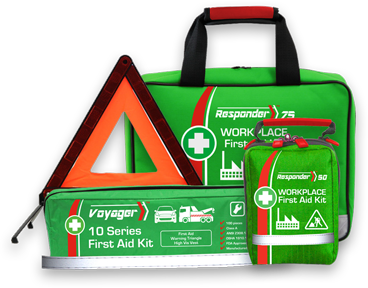 These rugged compact reinforced fabric first aid kit bags conform to fit in irregular storage spaces while protecting their contents. Tough zippers are quickly located by their red plastic tags, while durable fabric handles and straps make these kits comfortable to securely carry. A reflective strip along the front of these versatile first aid kits makes them easy to spot and helps keep responders visible. First Aid Kit contents are held in place internally by strong elasticated mesh screens, elastic loops and strong pouches selected to best hold individual kit contents for easy selection. Built to protect from dust and water, these securely sealed plastic cases are designed to cope with unpredictable weather conditions found on work sites and the splashes and spills inherent at industrial environments. Our Biohazard and Burn specialist kits come in weatherproof cases to ensure the kit is protected from contaminants at the scene. 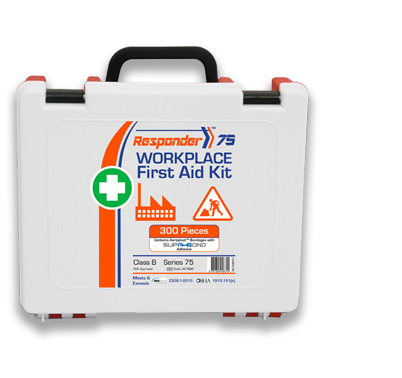 Robust cases are made from hard durable plastics with strong hinges and clasps to cope with the bumps and bashes that can occur when quickly responding to a First Aid situation at construction sites and factory environments. 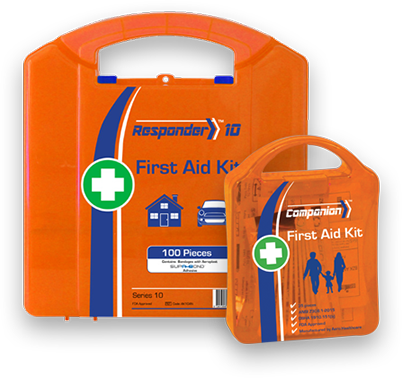 The thick solid plastic handle and toughened claps are protected by the case’s shape when not in use – these robust first aid kits are perfect for storing in busy environments where they will need to stand up to rough handling. Perfect for office and childcare environments, where reassurance and comfort is as high a priority as swift treatment. Smart in appearance and easy to clean, these kits will look at home in any professional and residential environment. Get a free quote - browse our products online, choose your case options and add to Your Quote.